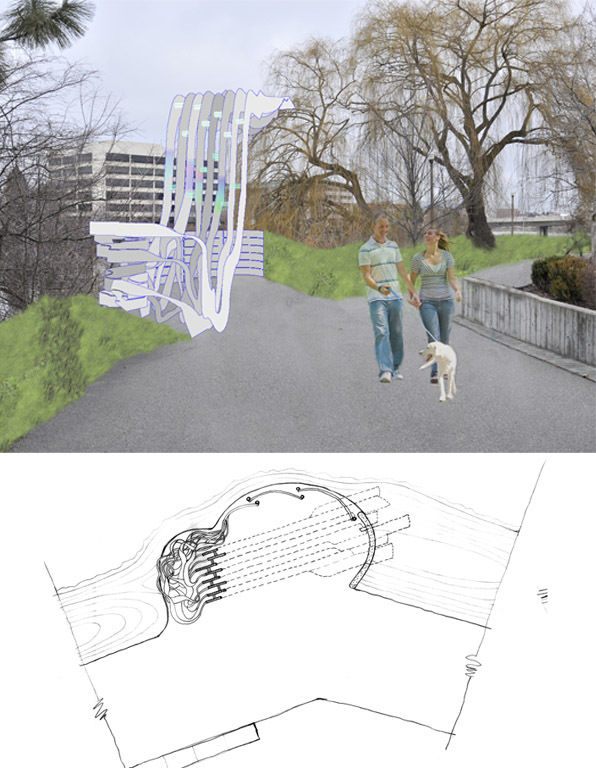 We proposed to create a series of landscape berms and site specific sculptures to act as both safety barriers and attractors along a busy downtown pathway of the Spokane River. 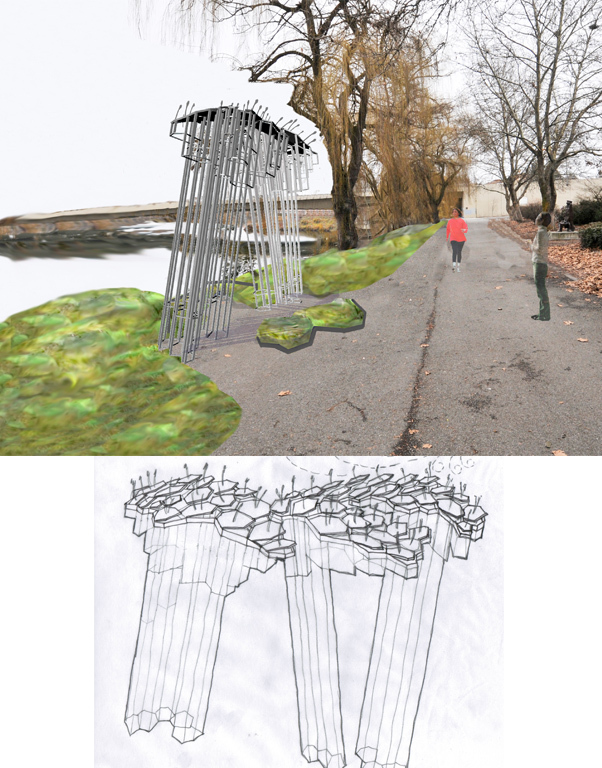 At a bend in the path within audible range of the pounding Falls we proposed an sculptural river flow of diffractive prisms over a vortex viewing platform. Framing the rivers edge of a large gathering plaza we proposed a fence of internally illuminated aluminum painted buoys and light poles floating on their own mirror polished reflections. 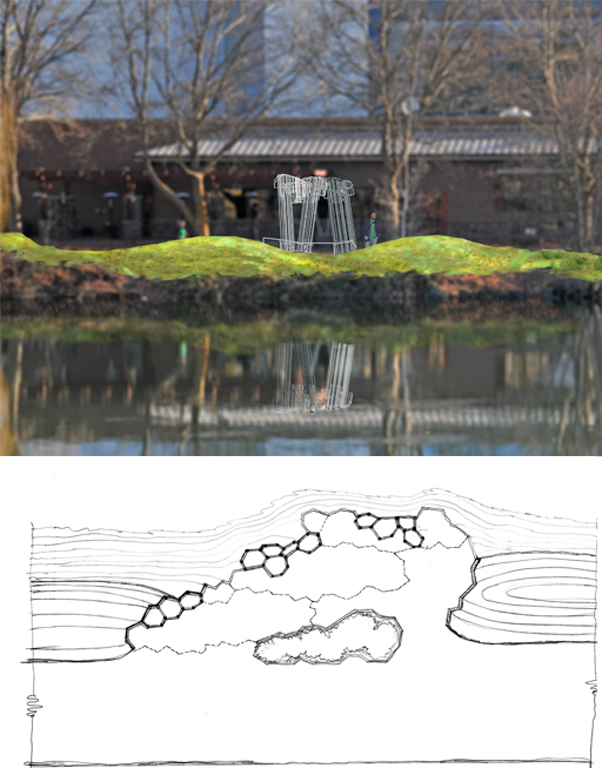 Under a grove of large trees we imagined a “Palouse Pavilion” of basalt pavers, hexagonal columnar space frames supporting a kinetic wind activated rolling roof. 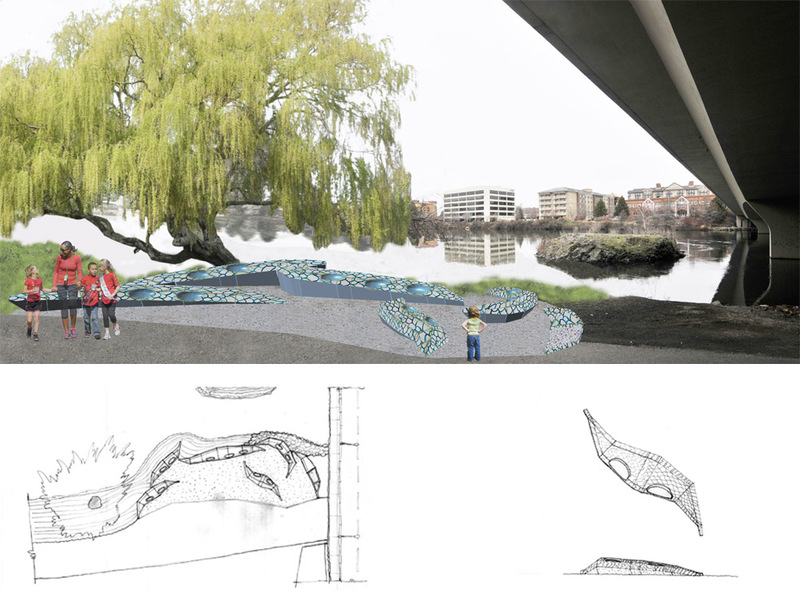 Adjacent to a bridge sheltered canoe and kayak launch we proposed a gathering place of low seating composed of a colorfully tiled “spawning” canoes and kayaks. 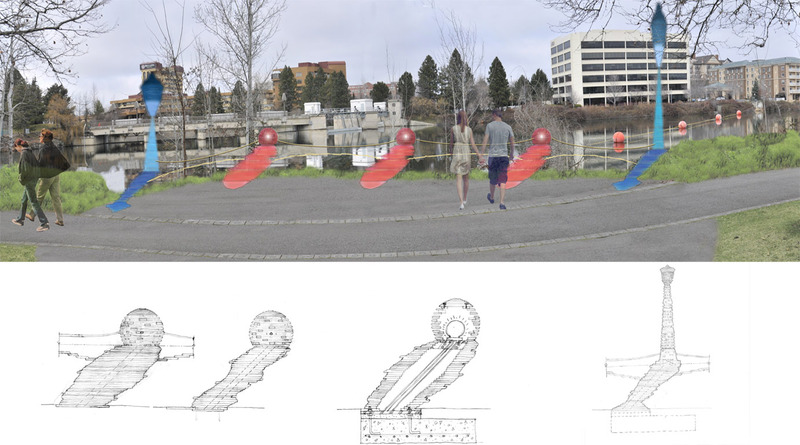 It was our hope to visually manifest place makers for local residents while conveying stories of the Spokane River, the Cities development and connection to the surrounding landscape to out of town convention center visitors.